The 1930s marked substantial investment by the Rockefeller Foundation in the scientific development of mental health, including psychiatry, neurology, and care symptoms, in the US, the UK, and elsewhere. This funding provided a foundation for the potential transformation of mental health in a post-World War II health agenda. As the global community fails to act, the economic and social implications of poor mental health continue to take their toll. An estimated of people will experience a mental disorder within their life, while poor mental health accounted for a global loss of US$2.5 trillion in 2010. This number is expected to increase to US$6 trillion by 2030. The tide, however, may be turning. Mental health may be emerging out of the shadows. 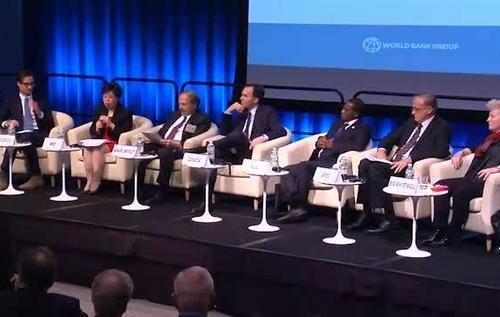 During a two-day joint conference hosted by the World Health Organization and the World Bank in Washington, DC, world leaders convened to explore the existing state of global mental health. Nature also timed a mental health edition to coincide with the meeting, demonstrating how support by the World Bank combined with a leading scientific journal garner support beyond the health community. Vitality’s Chief Health Officer, Dr. Derek Yach, joined a panel on advancing mental well-being within the workplace. In addition to high-level gatherings of influential leaders, innovative technologies may assist with combating the toll of mental health in low-, middle-, and high-income countries. Technologies such as Big White Wall, which enables users to anonymously access mental health services and online information, may also serve to overcome the stigma that is so often associated with mental health. Despite the innovation, mental health technologies are being developed faster than the science, posing potential harms to users. Vitality’s recently released Guidelines for Personalized Health Technology demonstrate the need to have robust science along with transparent and accountable privacy practices to ensure those who need it most can benefit from good mental well-being over the long-term. How does your employer address mental health within the workplace? How does your organization’s leadership promote mental well-being? Tweet at Derek @swimdaily, Gillian @gchristie34 or Vitality @VitalityUSA.